All the Rajasthani cities are renowned for shopping and each has its own specialty, however, Jaipur is probably the best all rounder. Traditional crafts, silver, gemstones, textiles, marble and pottery. Be prepared to haggle – the Rajasthanis are experts! 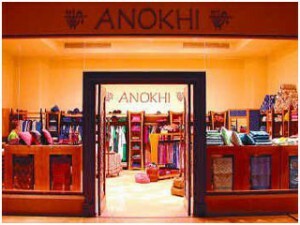 Anoki is a an amazing clothing store that sells fashion and other textile goods made from fabrics that are block printed by hand. You can also find great coffee and non-Indian food here. Check out the bookstore nearby, as well as the Anokhi Museum, which has an amazing collection and tells the history of color printing. The market place is full of gold smiths, silver smiths, and the famous blue pottery. 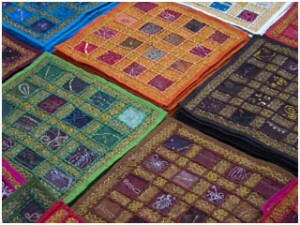 Tripolia Bazaar is between the Manak Chowk and Chhoti Chaupar and is known for ironware, brassware and carpets. You’ll also find textiles, furniture, trinkets and many other things. Kishanpol Bazaar is the best place to find textiles and wooden furniture. It runs parallel to Baba Harish Chandra Marg and Chaura Rasta. Bapu Bazaar is located within the old city area between the Sanganeri Gate and New Gate Bapu Bazaar and sells the popular “Mojri” footwear, which is made up in soft camel leather and is usually embroidered. Finally check out Johari Bazaar for the best in jewelry production. 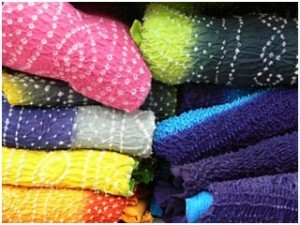 Around the corner from Johari Bazaar, you’ll find the best in embroidery work and tie-dye at Bapu Market. It’s also a great place because it’s much easier for pedestrians. 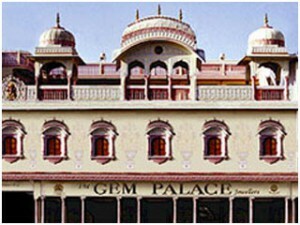 For the best in jewelry, visit the Gem Palace and find everything from silver Bedouin styles to Royal jewels. 16 kilometers south of Jaipur, you’ll find the village of Sanganer, where you’ll find handmade paper and block printing shops, as well as the factories and workshops. 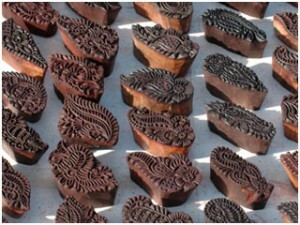 If you want to go even further off the beaten track, head to Bagru Village, where you’ll find more block printing professionals. It’s 20 kilometers west of Sanganer.